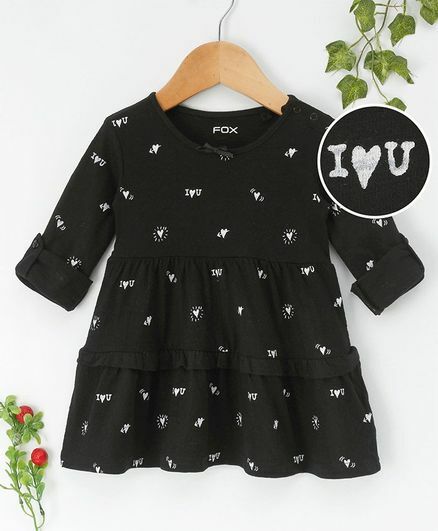 Kiddopanti Sleeveless Frock Penguin Pr..
Baby Go Full Sleeves Frock Kitty Patch..
Fox Baby Full Sleeves Frock Printed - ..
Fox Baby Singlet Neck With Bloomer Fru..
Babyhug Full Sleeves Cotton Frock With..
Babyhug Cap Sleeves Frock Embroidered .. 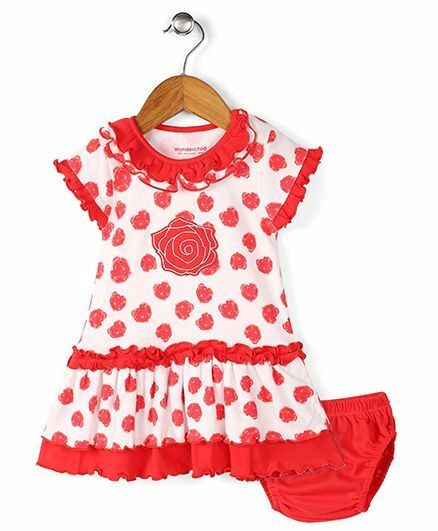 Simply Short Sleeves Polka Dotted Froc..
Kiddopanti Sleeveless Rose Print Layer..
Kiddopanti Sleeveless Printed Dress Wi..
Chicklets Flower Print Sleeveless Dres..
Cucumber Half Sleeves Frock Bunny &.. Soul Fairy Paisely Dress Strappy With .. Soul Fairy Rara Georgette Dress With P.. Soul Fairy Rara Dress With Pintuck - M..
Wonderchild Heart Print Dress With Blo..
Enfance Core Floral Print Flare Dress ..
Those cheeky grins and mischievous acts only get cuter in pretty girls' frocks. 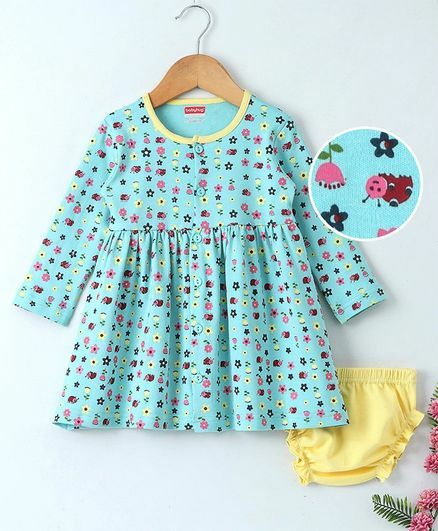 With a wide variety of dresses for girls in unique colors, patterns and designs, your little doll can have a different look for different occasions. 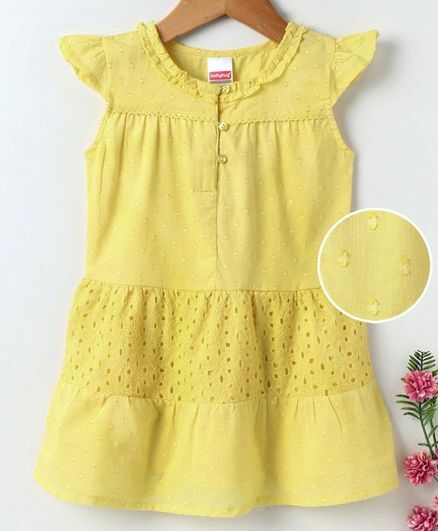 While puffed sleeves and frilly lace girls frock with bows and ribbons were what most little girls clothing were found wearing in the past, times have changed and with online shopping at your service, the options are so varied that you wouldn't want your little girl to look any less fashionable than the other kids in stylish girls' clothes sale. As a mother, you may have observed the different behaviors of other little girls at weddings and other occasions. A lot of them love to run about with other kids at the function, some even going to the extent of climbing and jumping. Then, there are other quieter ones who just love to sit down in a dainty and delicate pose, especially in their fancy dresses. 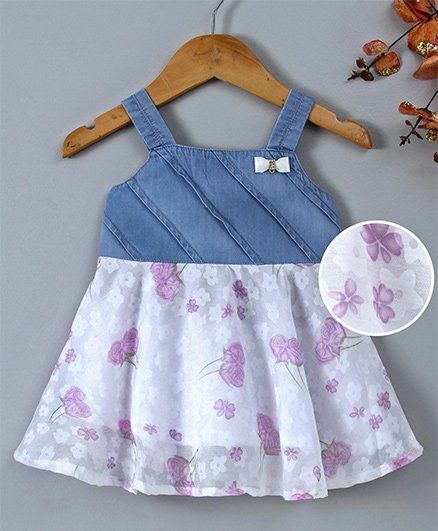 While flowy gowns and maxis may not be a great choice if your little girl belongs to the former category, you can make her look equally cute in a layered or gathered girl white dress. 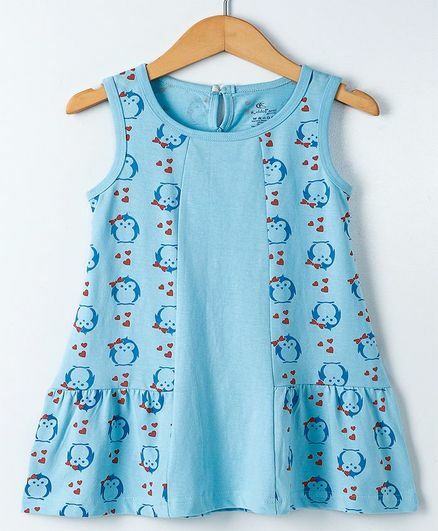 Bubble dresses are another great option and look great on naughty kids. On the other hand, if your little girl loves to dress up and look pretty, then the gowns and maxis will be absolutely adored by her. 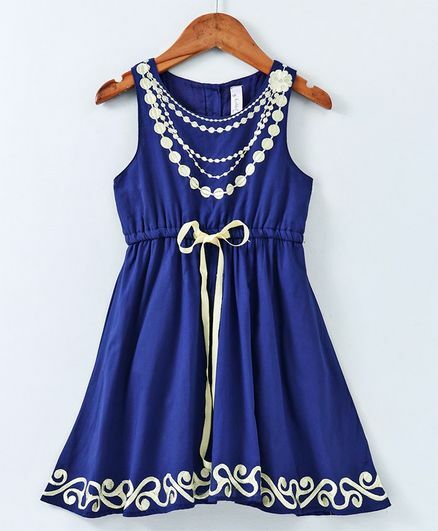 Little girls love to dress up when it comes to parties, events, and occasions. 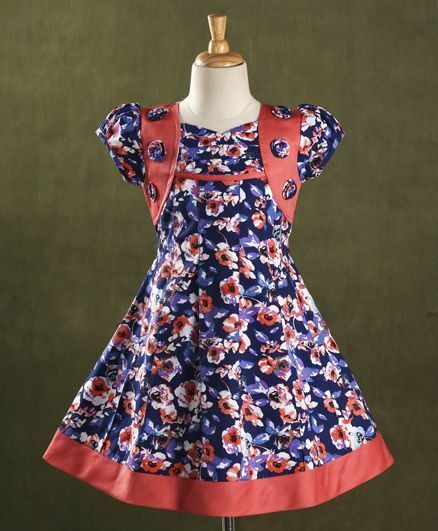 Browse through dresses for girls in various neck styles & sleeves lengths, attractive halter necks to comfortable spaghetti straps & crochet flower-patterned bodice to glittery party bodice and get one for your young baby girl that suits her the most. 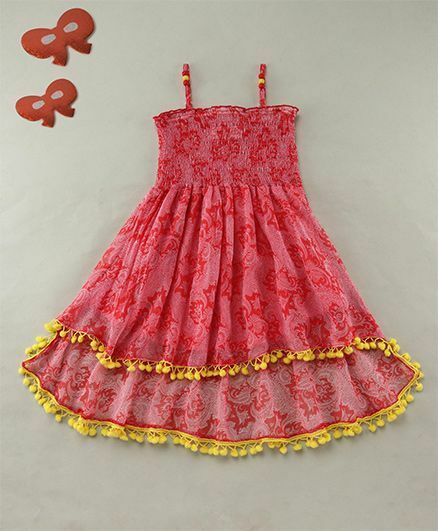 We have a wide range of girls frock design crafted from the finest fabrics with good fitting and perfect styling. When buying dresses for baby girls, make sure you also shop for cute little hair bands and bellies to make them look every bit of the bundles of joy they are. 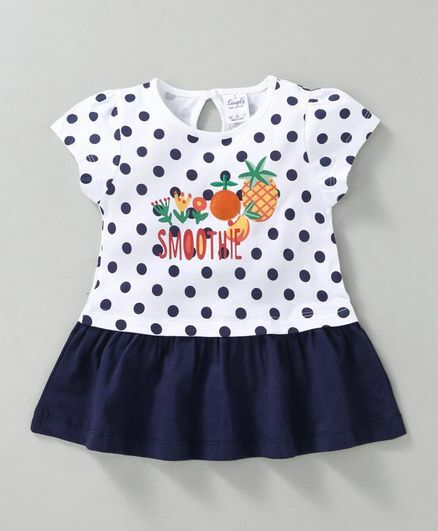 Make sure that the girls' frock patterns you shop for are either made in comfortable fabrics or designed with suitable lining to keep discomfort at bay. 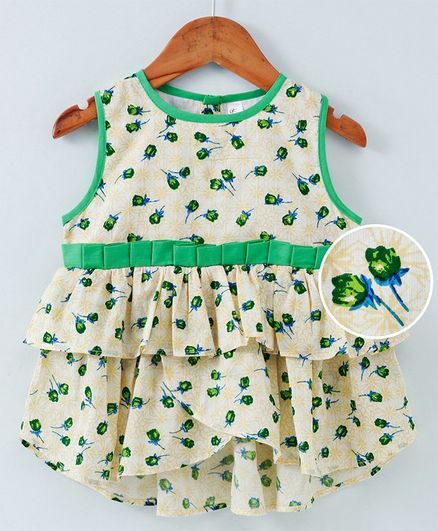 Whether it is summer or winter, there are baby fancy frocks for all seasons. In summer and you can opt for cool floral printed or abstract printed dresses. Choose cap sleeves, short sleeves or sleeveless dresses as well as strappy dresses in pastel shades, crafted from soft cotton material, that is perfect for the heat. 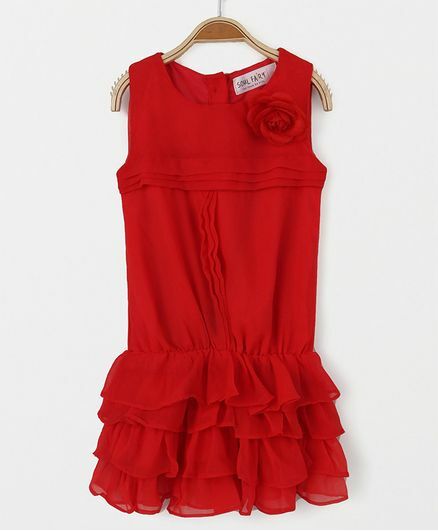 Girls party dresses come in interesting designs, ranging from elegant satin gowns to frilly net dresses. 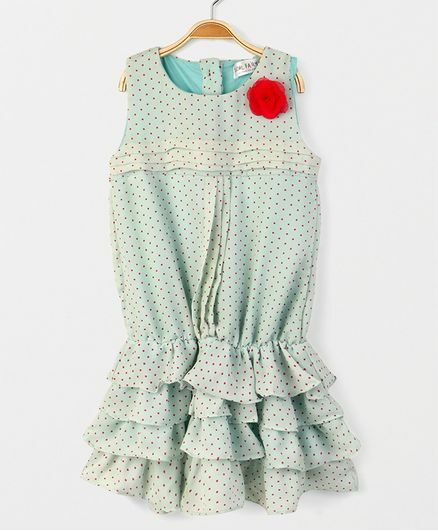 If your little one wishes to keep up with upcoming trends, then you can choose a polka dotted dress. For a casual day at home, you can opt for a simple solid colour casual dress in light pastel shades. Besides, you can also check out an animal printed dress for something unique, or even a cotton embroidered dress or kids' gowns. Winter clothes for girls include long sleeved checked dresses or a full sleeved t-shirt with a poplin dress. 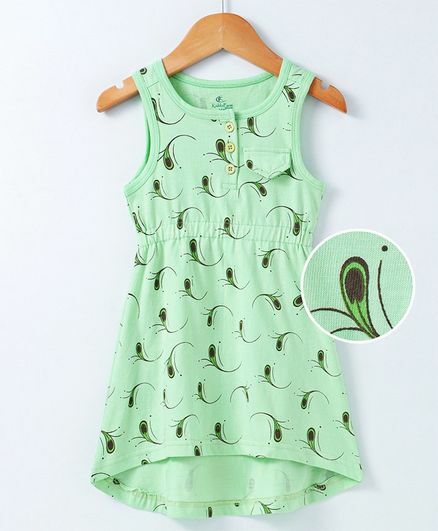 The best place to shop for girls dresses in varieties of styles is firstcry. Simply use CashKaro and use firstcry coupons listed on the site. This gives you access to thousands of clothes listed on Firstcry that will make your baby girl look nothing short of a cute angel. 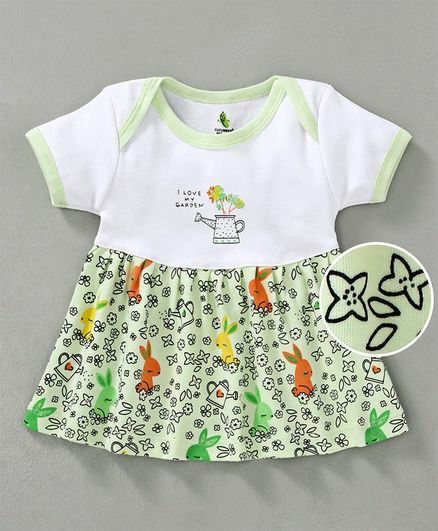 Pick from a variety of styles like patches of flowers, alphabets, animals, Disney themed frocks with cartoon characters, and so on. You can also buy frilly frocks, umbrella cut frocks, mesh frocks, tissue hem frocks and many other eye-catching collections through CashKaro that will let you enjoy additional cashback! This is indeed the smartest way to shop as you can save while spending! The dresses and frocks are available in materials ranging from silk to cotton, jersey fabric and so on.